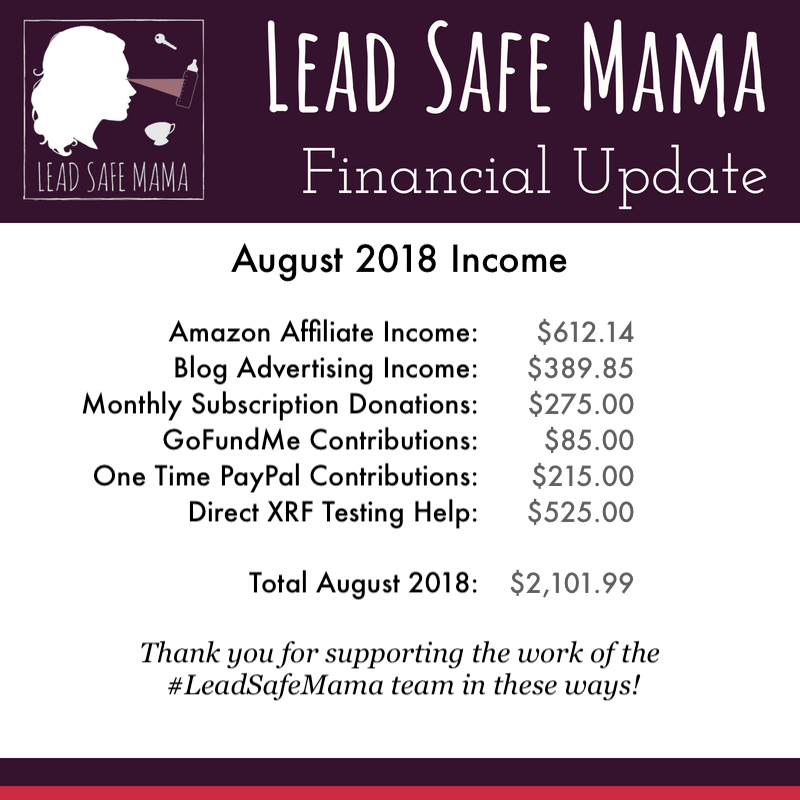 Here’s a summary of income I have received in support of my advocacy work over the past month (for all of August 2018). I am so incredibly thankful for all of the support in all the ways. Even though I am not affiliated with a nonprofit I think this work is fundamentally a public service and I feel it is 100% appropriate to share this information with my readers, as it helps give context to what I do. Each month my costs far exceed what I bring in (for the moment) and will until my legal battle is over, but every penny makes a huge difference. Legal Fees: A team of nine lawyers are on board now in defending my advocacy work and helping me through this difficult time! While some are pro-bono, some are not and I still have about $50,000 in outstanding legal fees I am working to cover. Blog Costs: Hosting, security, updates and more to keep this blog running and current (so it doesn’t crash or get hacked). Right now we are in a transition period and those costs are about $300 a month including some design update work we are in the middle of. Utilities: In order to keep doing what I do (blogging, social media outreach, e-mail updates) I need to make sure my internet and phones are covered each month. XRF Rental Costs: I currently have an outstanding bill of about $5,000 towards XRF rental costs from 2018 that I am working on paying down. Consumer Goods: I spend less than $100 each month buying things I think might have lead (or cadmium, or mercury, or arsenic!) so that I can test them and report the results on my blog. These are generally things that folks have asked me to test but no one has sent in for testing. This is in addition to the personal items that folks from around the world send me for testing! In August I bought several types of new crayons, some new Rae Dunn pieces, some vintage visions cookware, and other vintage items. If the items turn out to be positive for lead I keep them in my collection of leaded stuff (locked away in my shed), and if the items I purchase turn out to be lead-free I often give these items away as prizes on my blog. Social Media Assistance: I have a few ladies who help me on social media (now that I have 30,000+ combined followers it’s hard for me to keep up with all of the communications.) When I generate enough to cover the basics I pay them for their time, although several of them have been incredibly generous in donating some or all of their efforts over the past two years during this very difficult time for my advocacy work and my family. Book Costs: I am working on finishing my book (about lead in consumer goods) this month (yes, I know you have heard that before, but this time I think it is going to stick!) I am already about 100% over budget based on what I earned with the Kickstarter last year, but I finally have all of the pieces in place that I need to finish the book. These costs have included (or will include): photographer, designers, printing, shipping, XRF testing, procuring items to feature in the book and more. I also have a few people volunteering to help me with some of the elements for the book. If you want to see more ways you can help my work and this movement please click here. As always, thank you for reading and please let me know if you have any questions!